SORRY NOW SOLD. MORE REQUIRED. 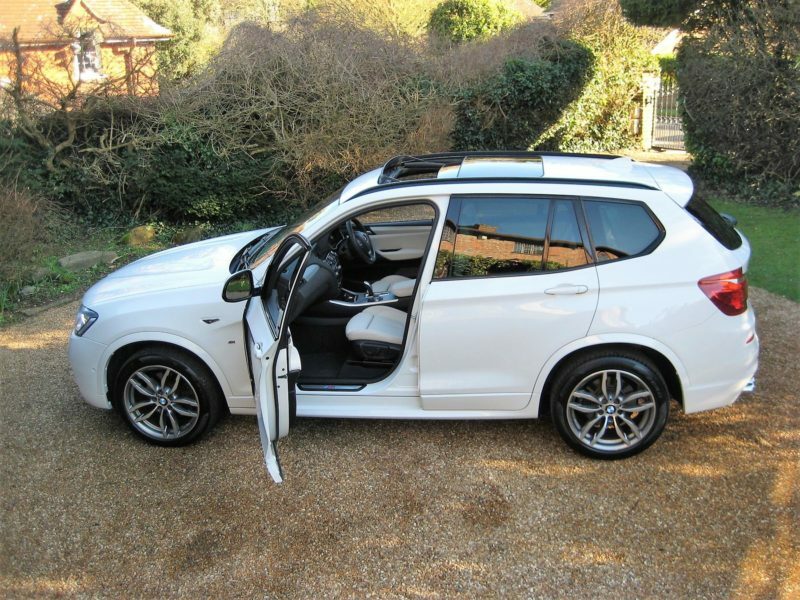 JUST 11,000 MILES WITH ON 1 LADY OWNER FROM NEW + JUST SERVICED BY SUPPLYING BMW MAIN AGENT. 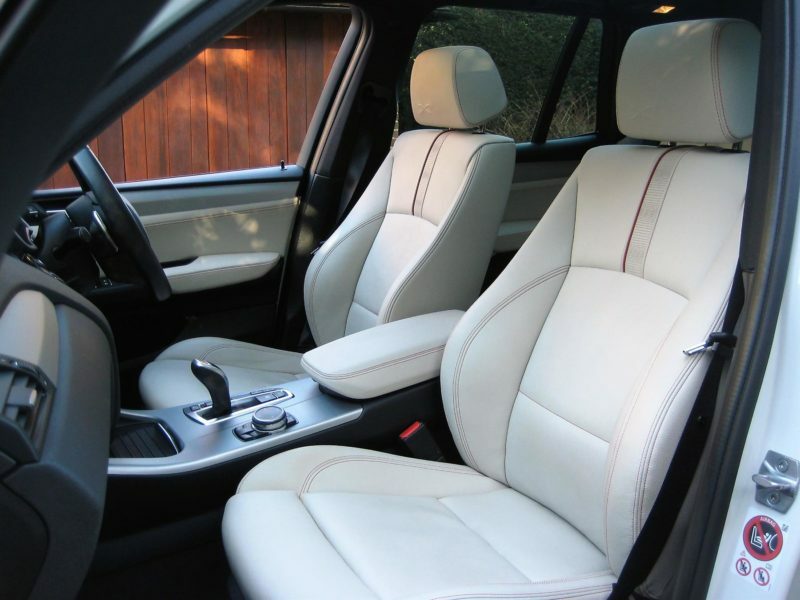 MASSIVE SPEC X3 3.0D M SPORT finished in Alpine White with full Ivory White/Black Nevada leather complimented with red stitching & X embossing on headrests. 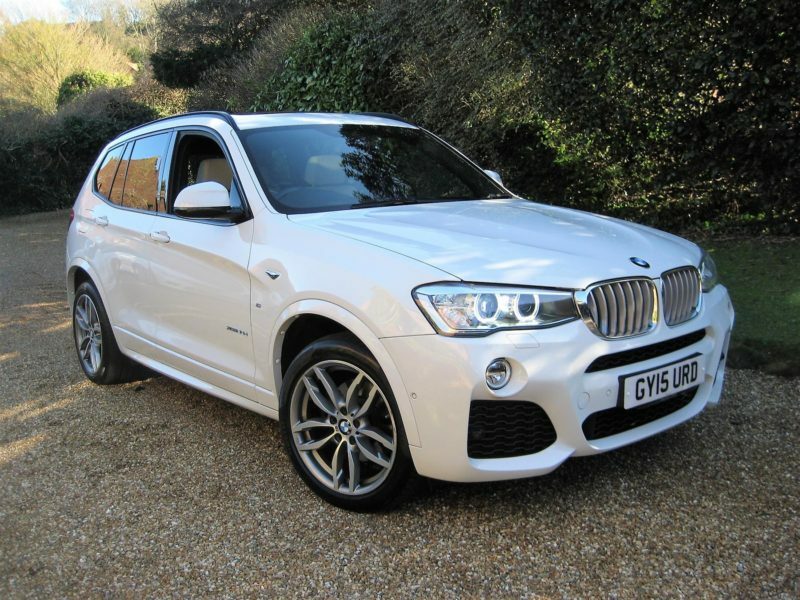 Optional specification includes panoramic glass sunroof, media package with BMW professional navigation system, BMW online services, real time traffic information, information plus & remote services. Advanced parking package with reversing assist camera & park assist (parks itself automatically). Visibility package with headlight wash, Xenon headlights, adaptive headlights, front LED foglights & high beam assistant. Electric front sports seats with driver memory, driver & passenger lumbar supports, heated front seats, brushed aluminium trim, head-up display, speed limit display, auto dimming electric folding mirrors, sun protection glass, fully electric towbar concealed under vehicle, fitted TRACKER with 24hr monitor, fitted BMW carpet mats etc + treated with ‘A Glaze’ paint protection & ‘metal mate’ alloy wheel protection. 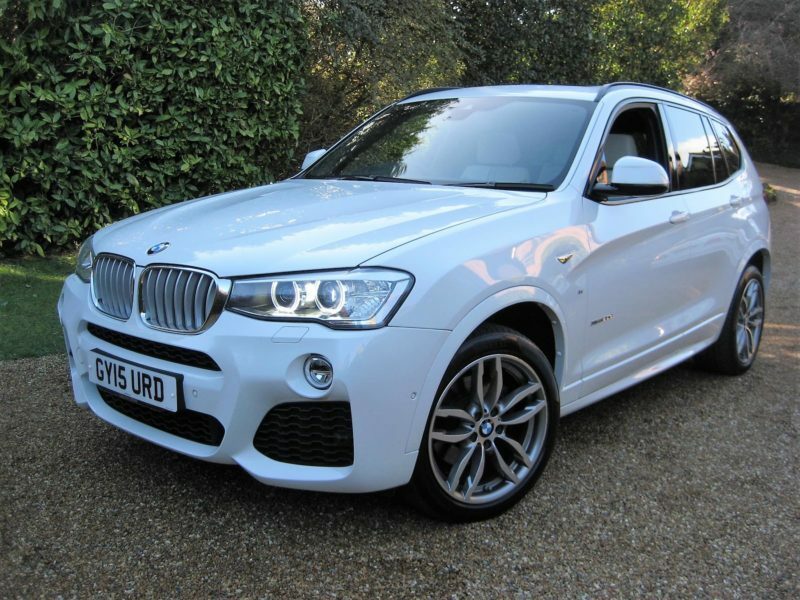 Cost new £50k with £8k of optional extras. 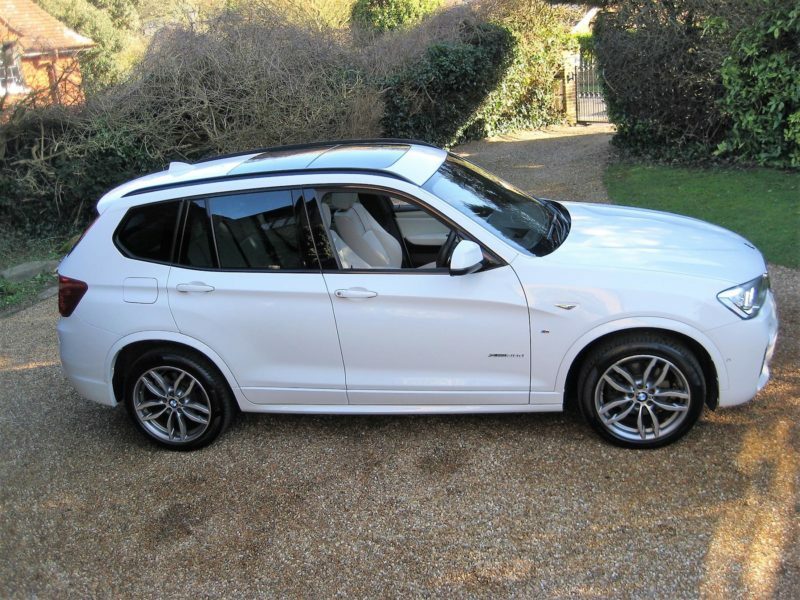 Supplied new & fully serviced by Chandlers BMW Hailsham East Sussex + just been serviced by Chandlers BMW. 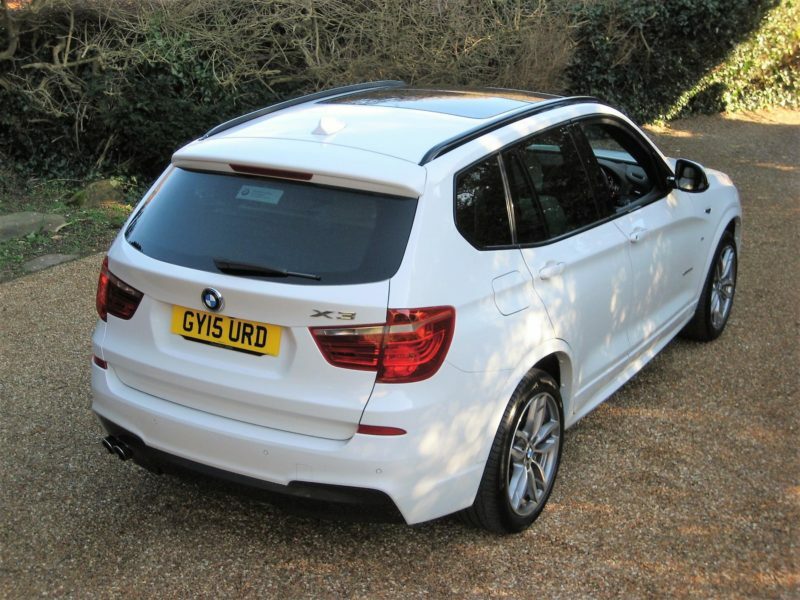 Complete with a fully documented history file including original purchase invoice, owners book pack + both remote keys. THIS IS AN ABSOLUTELY STUNNING LOOKING, 1 LADY OWNER, VERY LOW MILEAGE EXAMPLE WITH AN AMAZING SPECIFICATION. THIS MUST BE THE BEST AVAILABLE!